This guest post was written by Josh Houston, a young person who attended the launch of our Sam’s Story report whilst on work experience with us. For #AntiBullyingWeek, we’ve launched resources for primary and secondary schools; these resources are closely related to our Sam’s Story report. Upon arrival at Millbank Primary School, journeying in from Swansea, it was instantly clear to see that the primary had a warm and welcoming atmosphere in which provided the perfect setting for the Sam’s story launch. From previously reading the Sam’s story report based upon thousands of children’s responses, perceptions and ideas regarding bullying across Wales, I knew that I was in for a treat when I was told that Sally Holland and a select few pupils from Millbank Primary would give us a presentation about the information they have gathered and the individual work the primary school had conducted since the visit of Sally the previous year. After helping set up, we all sat down in anticipation for the presentation that was about to be given not only to us, but some very influential people including a few from the Welsh Assembly Government and ITV news. Sally started off the launch by talking about the aims and goals that the release of the report would set out to improve and how schools should deal with and inform pupils about bullying. After being presented with a few beautiful drawings that had been produced by some of the children that took part in this report, it was interesting to observe a few recurring themes that underlay in each picture. The pictures usually presented Sam as quite sad, unhappy or being singled out due to a certain characteristic that he had and further portrayed those who bullied him as possessing traits such as being lonely, having no friends or carrying out acts such as name calling, something that most people would relate to at least witnessing back in their school days. After this informative presentation, it was the pupils of Millbank’s turn to talk to us. Little did I expect before attending the launch, primary school children possessing such admirable levels of maturity and understanding regarding the topic of bullying. The talk they gave addressed key issues in regard to understanding the topic of bullying as they demonstrated that, through a short activity with the audience, Sam can look like or be anyone of us, which I thought a very important message to gain from this launch. The children were extremely enthusiastic which truly showed their passion about how dealing with bullying should be highly prioritised in terms of how schools on an individual and national level tackle bullying. We were all then presented with some of the work that Millbank Primary, as an individual school, had carried out throughout the year and I was astonished as to the diverse range of innovative and creative ways that children were informed about bullying. From a quick Q&A session at the end of the presentation, the pupils were asked what their favourite activity on the topic of bullying was which they responded that creative writing tasks, assembly’s and drawing pictures were some of their most favoured activities. After a well-deserved round of applause, we were given a chance to chat with the pupils more. From asking some of the children about what they think is most effective when dealing with incidents of bullying, they responded that they think that more intervention from parents and communication between parents and the school is needed in order to stamp out bullying and that adults need to be more involved in dealing with incidents of bullying. The reasoning behind this being that although teachers know what maybe happening at school, parents know how bullying effects the children within their home life, such an amazing answer that again demonstrates the sheer understanding that these pupils have. They also discussed how they are taught a lot about children’s rights within Millbank and students also expressed how happy and complacent they were in Millbank and how much they enjoyed their school life and that bullying wasn’t a problem. The launch was very successful and all the hard work the Children’s commissioner team had put in had really paid off. It was really refreshing to hear the children express their own views, perspectives and ideas upon bullying and children’s rights as opposed to an adult dictating what should happen ‘on behalf’ of children in Wales. The launch demonstrated such high levels of knowledge and the substantial amount of ideas that the pupils and Super Ambassadors possessed about bullying. This just highlighted that children’s opinions should be given more due weight when discussing issues that deeply affect and involve them as they know what’s personally best for themselves, this being the most important message, in my opinion, that should be taken away from the launch. 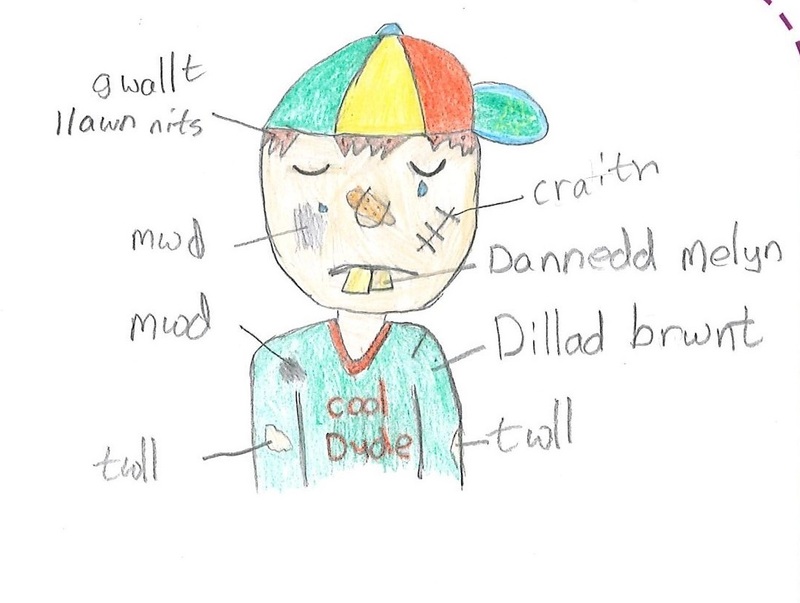 Millbank Primary can definitely be described as pioneers for the way that schools think about and tackle bullying in addition to education of Children’s rights in Wales.